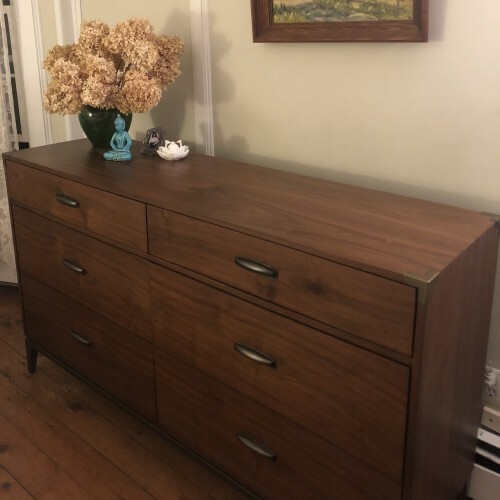 With distinctive knots, whorls and patterns, the wood grain of this Mid-century inspired dresser shines through with the help of expert craftsmanship and hand polishing. The Fenton Dresser goes perfectly in our bedroom. 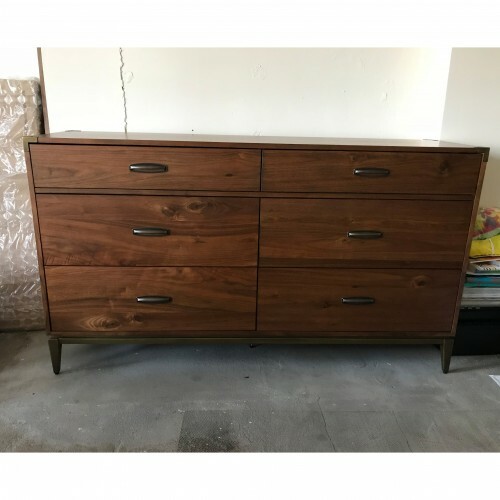 Great dresser, wonderful craftsmanship, color is a bit darker than I anticipated. overall, very happy with the quality. 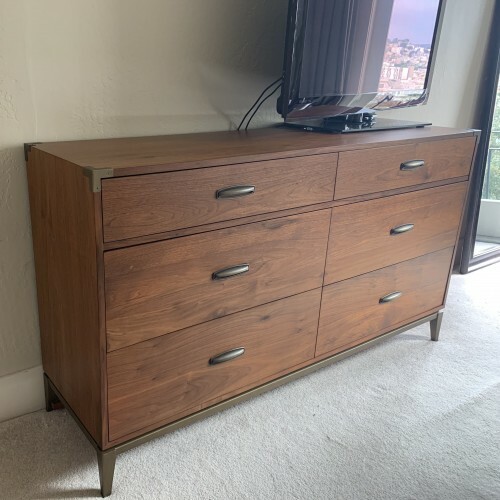 This dresser looks great in my room! The drawers pull fully out, and the bottom four are very deep. Perfection! 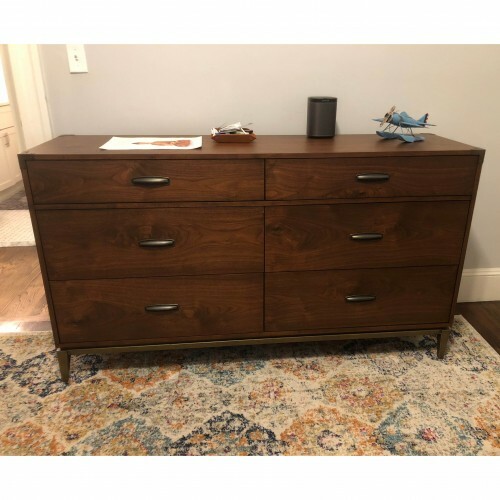 Love this dresser. 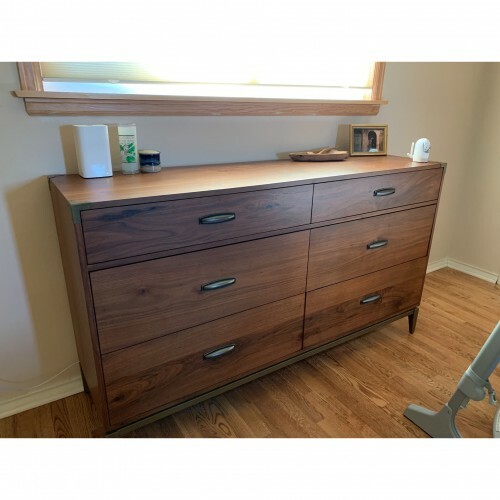 Beautifully made and offers a lot of storage. Very happy with this purchase. Living in an industrial loft this Fenton Dresser really dresses up the place and gives the loft a warmer feel. 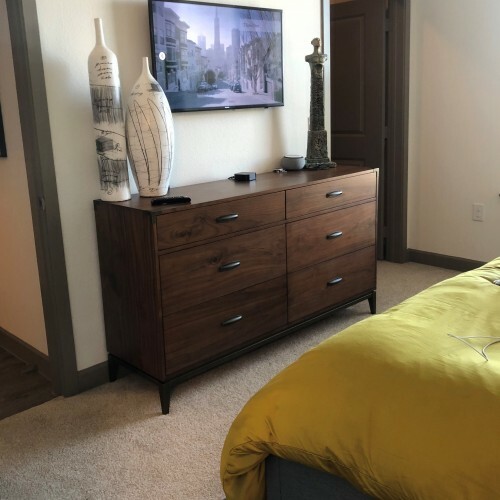 Sleep tight and sleep right accompanied by the warm, organic look of this sophisticated dresser that showcases the beauty of natural wood to its fullest extent. Impeccable detailing such as hardware wrapped corners and sleek lines ensure a timeless look that will inspire sweet dreams for a lifetime.